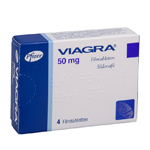 Viagra is an erectile dysfunction drug used to treat impotence. Erectile Dysfunction (ED) is a common problem, with at least one in ten men thought to suffer from the condition, the incidence increasing with age. There are no cures for erectile dysfunction but most men respond well to drug treatment. It is more common than people think, but most men are reluctant to talk about it. 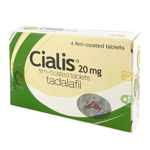 Viagra is taken as a single tablet, 1 hour before sexual activity. Only 1 dose should be taken in any 24 hour period. The onset of the effect may be delayed if taken with food. 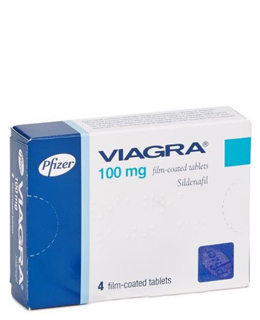 Viagra is supplied in boxes of 4 tablets. 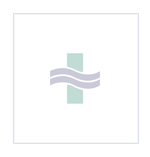 For more information about the dosage and side-effects of Viagra, click here to download the Patient Information Leaflet from the Electronic Medicines Compendium.